Looking to book specific pick-up and drop-off points that fit your busy schedule? Take advantage of ISAAC ALAN Transportation’s point-to-point rates priced per vehicle. All our vehicles Worldwide including our Chicago executive vehicles always come with personalized service to meet anyone’s needs. If your schedule demands flexibility, then book our vehicle by the hour for the ultimate in Executive Transportation. With our “by the hour bookings”, your chauffeur and vehicle will be waiting at every moment with no restrictions on time or the number of “as directed” unscheduled stops. 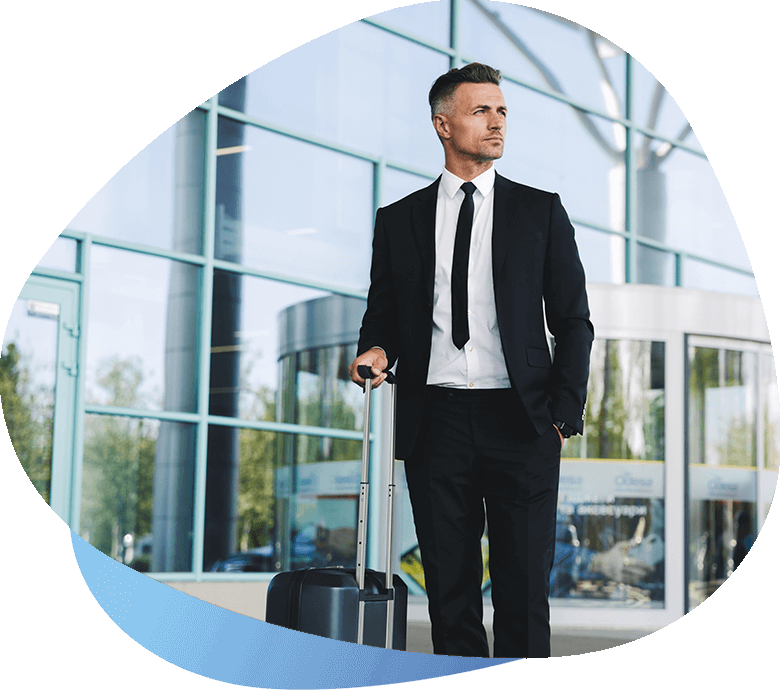 Our Executive Transportation hourly service is the ultimate service for those needing complete flexibility in their schedule. ISAAC ALAN Transportation usually provides this type of service in Executive Sedans, luxury SUV’s or Executive Mercedes Sprinter vans. If a larger vehicle is desired, then we have that capability too. In fact, our Chicago limo service-based team can provide this “hourly” type service that is completely flexible anywhere Worldwide. If you have a specific schedule with specific meeting times, then let ISAAC ALAN Transportation’s professional team and chauffeurs keep you on schedule. With our Roadshow service, our chauffeurs will notify the passengers and their assistants should the active meeting run late. You see, ISAAC ALAN Transportation’s Chicago limo service team is very experienced in Roadshow trips as we have been doing them for almost a decade and they are the main-focus of our company. Therefore, we completely understand the special demands, requests and timing that must be met while performing these “meeting-time” specific executive Roadshow trips. As a leader in Executive Roadshow trips, it is clear to ISAAC ALAN Transportation’s team that communication is the main factor in providing flawless Executive Roadshow trips. What do we know about communication? Our Chicago limo service-based company understands that for any trip to go perfect, we must communicate continuously and accurately. In fact, continuous and accurate communicate helps reduce the stress of any trip while simultaneously building a relationship of trust with our clients. The ISAAC ALAN Transportation team will be there with you from the booking of a trip through the drop off. Plus, the communication continues through the billing of each trip followed immediately with an emailed receipt. Please keep in mind, this is not a one-time occurrence for our new clients. Our Chicago limo service team takes great pride to ensure this happens EVERY time regardless of the type of vehicle you choose. In fact, we will provide this outstanding level of service for a single ride in a luxury SUV or for large group type event with a hundred individual rides. You have ISAAC ALAN Transportation commitment that we will treat each trip like it’s our first trip every time. How do you know? Check out ISAAC ALAN Transportation’s online reviews. There you will read we are completely focused on providing a superior executive transportation experience. Our Chicago limo company provides this executive transportation at this same high-quality level of service whether you are traveling through a busy Chicago airport or any of the smaller Chicago executive airports in the area. In fact, we can provide our Executive Service, including any private aviation executive transportation, anywhere Worldwide. When booking with our team at ISAAC ALAN Transportation, you will be able to relax in comfort as we handle all the details while providing the same great service repeatedly. Book now with ISAAC ALAN Transportation, a Chicago limo service company, a partner and trusted team that can handle all your executive transportation Worldwide using late-model Executive Sedans, luxury SUV’s, Executive Mercedes Sprinter or larger vehicles for the utmost in Executive Transportation. Given an opportunity, I’m confident our Chicago limo service based company will surpass all your expectations anywhere Worldwide.